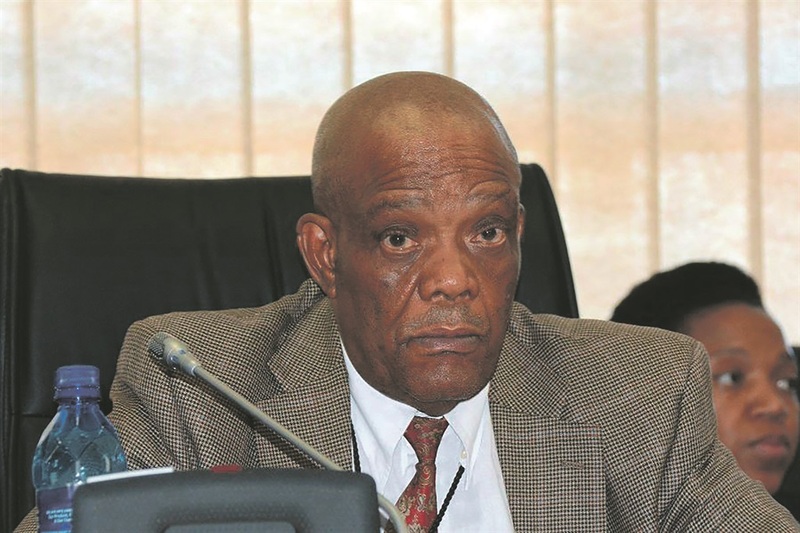 Premier Job Mokgoro has been called in to intervene in a standoff between senior managers and the administrator at the North West department of community safety and transport in order to avoid total insubordination. The group of managers – whose powers have been suspended pending the conclusion of the Section 100 intervention by the central government – have written a memorandum to Mokgoro and MEC Mpho Motlhabane citing a broken relationship with Nqaba Nqandela. They accused Nqandela of, among others, refusing to consult on departmental activities, humiliating the staff, making threats, stalling progress and failing to assist management to improve their performance in line with the Cabinet intervention led by Minister in the Presidency Dr Nkosazana Dlamini-Zuma. The officials recommended that Nqandela’s role in the department be placed on hold until both Mokgoro and Motlhabane resolved the conflict. “We cannot tolerate humiliation anymore from an individual who does not assist us to improve on our performance nor make systems effective,” they said. Mokgoro’s office said yesterday that the complaint had been received and “the premier is still going to apply his mind”. Provincial community safety and transport spokesperson Thabo Sematle referred questions to the national transport department. Last year Cabinet expressed concerns on the instability in the North West following a spate of violent protests that forced the governing ANC to recall Mokgoro’s predecessor, Supra Mahumapelo. Central government then placed 10 North West government departments under administration, assuming total control for running half of them, while the rest received support. The intervention was intended to “stabilise the labour environment, restore sustainable service delivery, restore security of staff and improve financial management”. Transport spokesperson Ishmael Mnisi said yesterday minister Blade Nzimande was expecting a full report on the interpersonal rift between his administrator and staff. Nzimande held a meeting with Nqandela and four senior managers on Friday where he heard of squabbles in the department. Mnisi told City Press that the standoff had primarily been around the interpretation of Nqandela’s powers, as well as apparent interpersonal clashes at the helm of the department. Mnisi said Nzimande explained that since the department was placed under full control of the national transport department, Nqandela had all the powers in terms of decision-making that had previously been held by the HOD, in the same way that Nzimande had assumed the powers of the MEC. “There should be no questioning of the authority he [Nqandela] comes with,” he said. He added that the department had not seen the memorandum of grievances circulating – “which no one has owned” – and only knew that a copy was sent to Mokgoro’s office. Nzimande also wanted to receive the document “so he could apply his mind and have a view”. Relations between staff were a human resources issue and due process must be followed, he said. “At the meeting there was little evidence presented except for the verbal reports of both the HOD and the administrator,” said Mnisi, adding that Nzimande would act once he received a detailed report. According to the memorandum by the group of managers, in December last year during a meeting Nqandela was requested to share, since his arrival, what gaps he had identified and what improvements has been put in place. “His response was that I don’t report to these people, nor your MEC or any internal structure. I report to the minister. We were so shocked at that response and we just left it there,” they said. In another meeting he allegedly used words such as “bloody administrator” and a senior manager “requested him to withdraw as it is not acceptable in the corporate world”. The letter said the “business processes” of both the province and national also clashed. The authors of the memorandum said between last December and February this year no bid committee had sat, which had an impact on the validity period for the advertised bids and projects not being implemented. “We therefore wonder how service delivery is enhanced here”.